A deeply biased and hostile article on Le Monde nevertheless accurately describes Orban’s politics as ‘economically left wing while culturally right wing’. However, qualification is needed here. 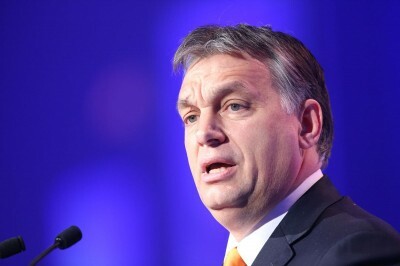 His policies are ‘left-wing’ from the point of view of global corporate finance but Orban’s economic policiesfavour the national, patriotic bourgeoisie and are therefore right-wing from the perspective of the working class. In September a Hungarian camera woman was filmed tripping a refugee carrying a child at the Hungarian border. The video soon went viral. The camera woman is now taking legal action against the man she tripped as he has changed his story to the police. Petra Laszlo has claimed that she panicked as refugees began to charge towards her. There was much indignation in the politically correct corporate media. But Syrian patriots did some research on the Laszlo’s ‘victim’. The man’s name is apparently Osama Abdel-Muhsen Alghadab and he is a member of Japhat Al-Nosra, the Al-Qaida affiliated terrorist group that has massacred thousands of innocents in Syria. Gearóid Ó Colmáin is a journalist and political analyst based in Paris. His work focuses on globalization, geopolitics and class struggle. He is a regular contributor to Global Research, Russia Today International, Press TV, Sputnik Radio France, Sputnik English , Al Etijah TV , Sahar TV,and has also appeared on Al Jazeera and Al Mayadeen. He writes in English, Gaelic, and French. Read other articles by Gearóid.